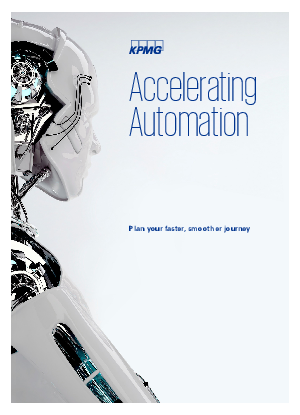 > KPMG > Want to put robotic process automation to work in your business? Robotic process automation (RPA) promises huge gains for business services, including lower costs, better market insight and an improved customer experience. But implementing RPA requires a clear plan of action. • get key insights from more than 50 automation projects worldwide.